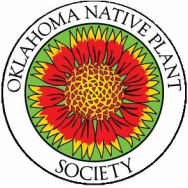 ​The Oklahoma Native Plant Society has rescheduled its annual Wonders of Wildflowers Weekend at the Kerr Center for Sustainable Agriculture for April 226-28. Online registration will close on Monday, April 22. Onsite registration will be available at the event (minus pre-ordered meal). 7:00 pm – Program by Steve Patterson with the Water Department on the area and weekend field trips. 9:00 am – Meet at Group Camp Dining Hall for field trip to Beech Creek and Botanize. Noon – Boxed sandwich lunch at Preserve while Botanizing. 3:00-5:30 pm – Field Trip to the Kerr Center; a portion of the location of Thomas Nuttall's "A Journal of Travels into the Arkansas Territory"
Camping and cabins are available at Lake Wister State Park. Make reservations now! For directions to the Lake Wister State Park Group Camp (on Victor Landing Rd) and the Kerr Center, click the "More options" link on the interactive maps below.